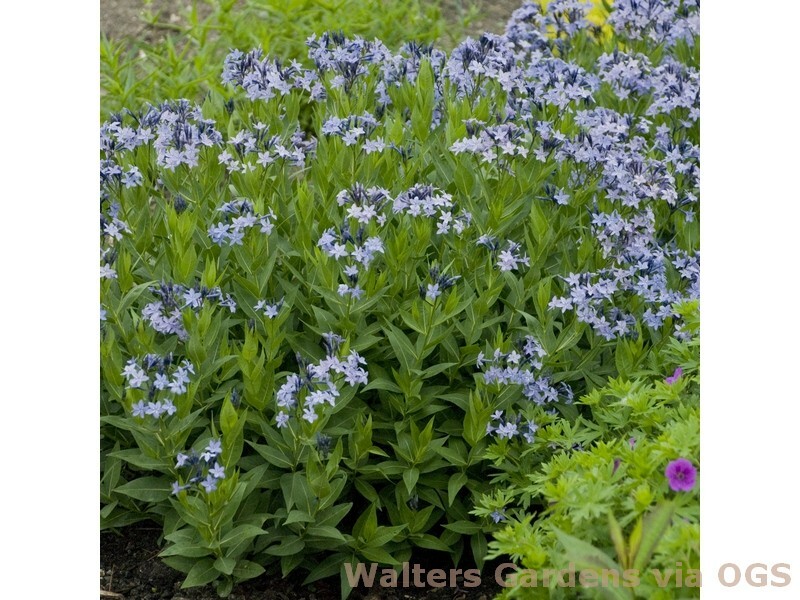 Product Information : Buds are navy blue and open to large periwinkle blue star-shaped flowers in clusters at the ends of the stems. Fall foliage is bright yellow gold. Mature Size : 12-18" x 18-24"